Join Powered By Youth Forum that aims to cultivate students to be socially responsible and community conscious! This year, PBY will be hosted in on September 15 and 29 in King George V School, targeting 350 participants from over 40 schools. 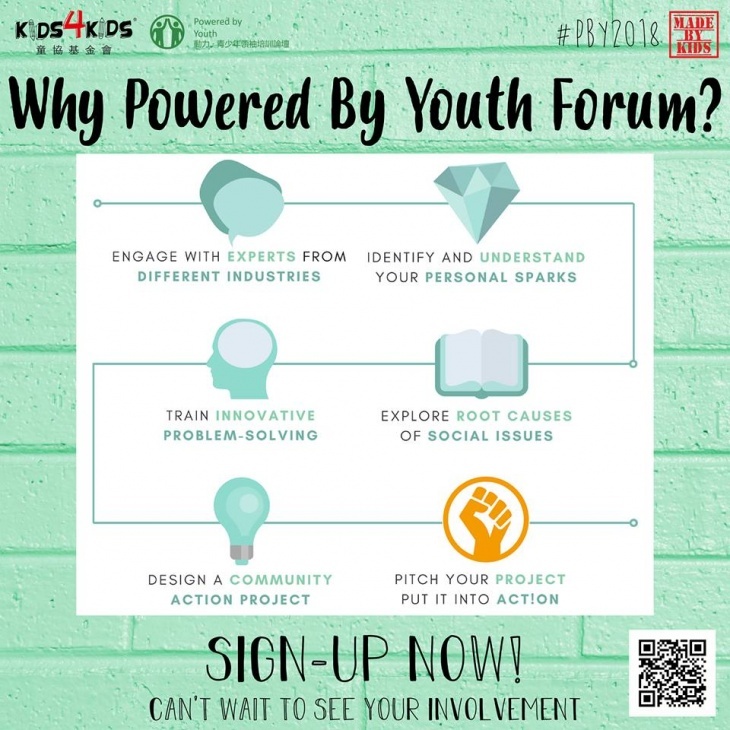 Powered by Youth Forum (PBY) is an annual 2-day forum organized by Kids4Kids. Every year, they invite children aged 12 to 17, from different schools and different backgrounds to join this forum. Through joining Powered By Youth Forum, the youths are empowered to use their own personal strengths to make positive changes to the community. Powered By Youth Forum has engaged with more than 150 organisations and inspired over 1,200 secondary school students from different backgrounds - we hope you will be able to join it and take advantage of this opportunity!